Guacamole is such a beautiful dish. Avocado, fresh lime, and cilantro come together to make a fresh topping for tacos, a dip for tortilla chips, a spread for avocado toast, or just eat it by the spoonful! The naturally bright green color of the avocado plus cilantro gives every dish a color and flavor pop. Avocados are loaded with fiber and heart-healthy nutrients! This recipe is a great basic guacamole recipe. Try fresh parsley in addition to, or instead of cilantro. Diced onion and garlic are also nice savory additions to guacamole. For a little extra kick, mix chopped jalapeño or serrano pepper into the guacamole. 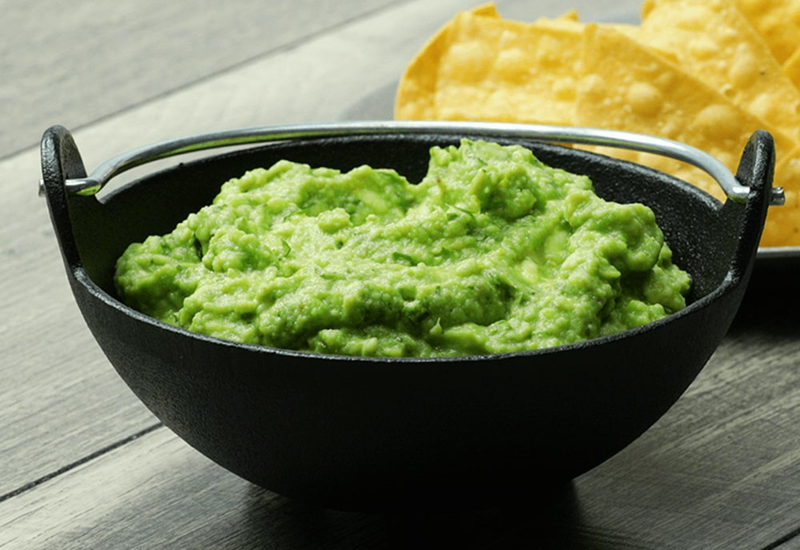 If you have leftover guacamole, press the pit from the avocado into the center of guacamole, squeeze some lime juice over the gaucamole, and cover the bowl with plastic wrap or a lid to help preserve the bright green color. Per Serving: 120 calories; 11g fat; 8.2g carbohydrates; 2g protein; 0mg cholesterol; 182mg sodium. Great guacamole, although I certainly prefer mine with onion and tomato, but this is a great simple taqueria style guac. The water here helps with the texture of the recipe. I'm a huge fan of Cilantro, but would add Jalapeno to this recipe next time! This is such a simple guac recipe and it was great, but I added a little jalepeno for some spice. I did like this recipe for my spice-averse people! Holy guacamole this recipe is so easy! I make it all the time and put it on everything. Sometimes I add a little onion too, depending on what I'm having. This creamy guacamole went perfect for taco night. It's also mild enough for my taste, I get funny about onions and tomatoes sometimes. This is a really easy recipe to follow, especially if you're doubling the batch.